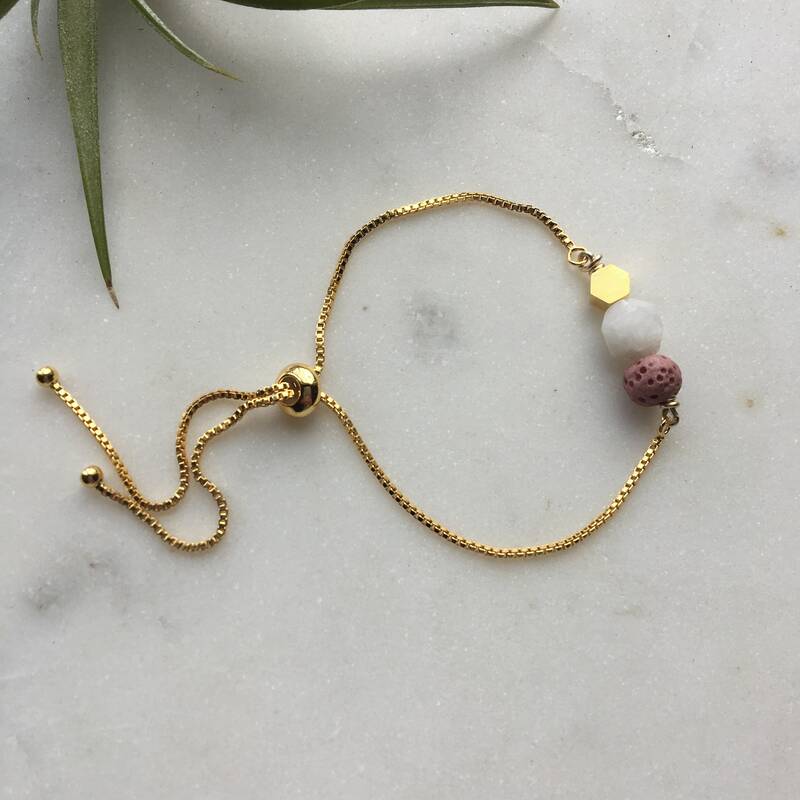 A small real blush lava rock bead is wire wrapped with a small brass hex bead and real moonstone bead for an unexpected and modern bracelet. This shipped quickly and arrived in pretty packaging. The bracelet is beautifully made, and I'm in love with it. Thank you! Very cute and simple. Love this!